The turning leaves, a pot of stew simmering on the stove, stormy nights with a warm fire burning in the house, trick-or-treaters, candy corn…these are all the things we look forward to as fall begins to set in. 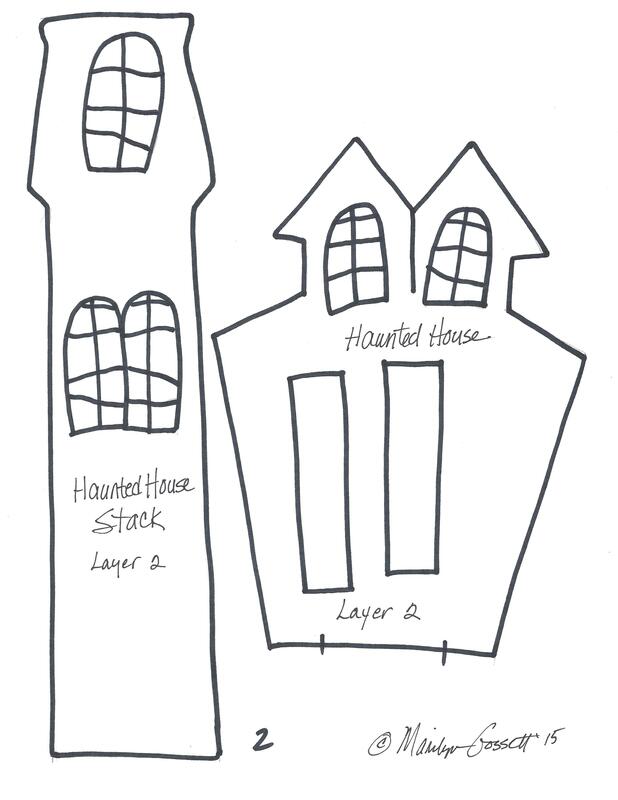 Enjoy making this spooky DIY haunted house craft and have a Happy Halloween! 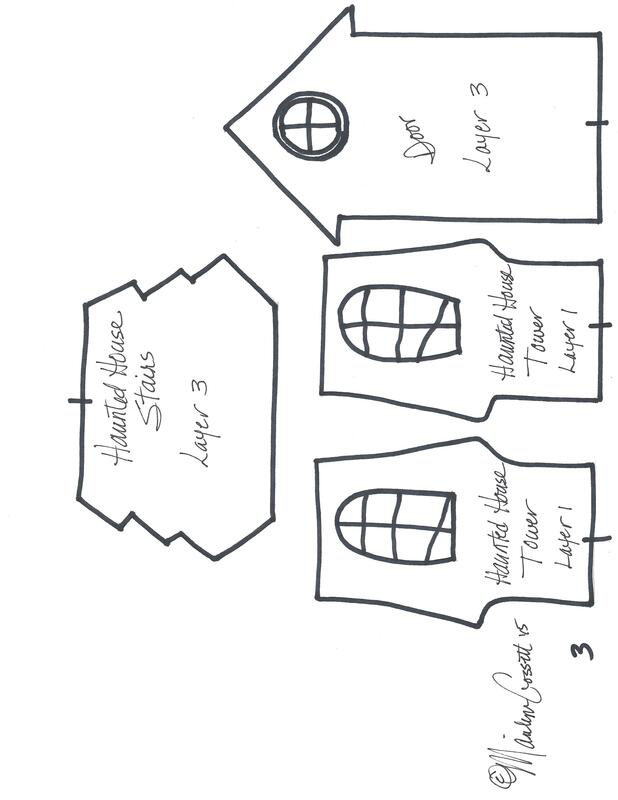 Click below to save and print out my patterns* on to cardstock and cut out all the pieces. Starting with the larger pieces, trace around each one on to the Smoothfoam sheet with a pencil. Cut out all of the Smoothfoam pieces using the hot wire cutter. Paint all pieces black and let dry. 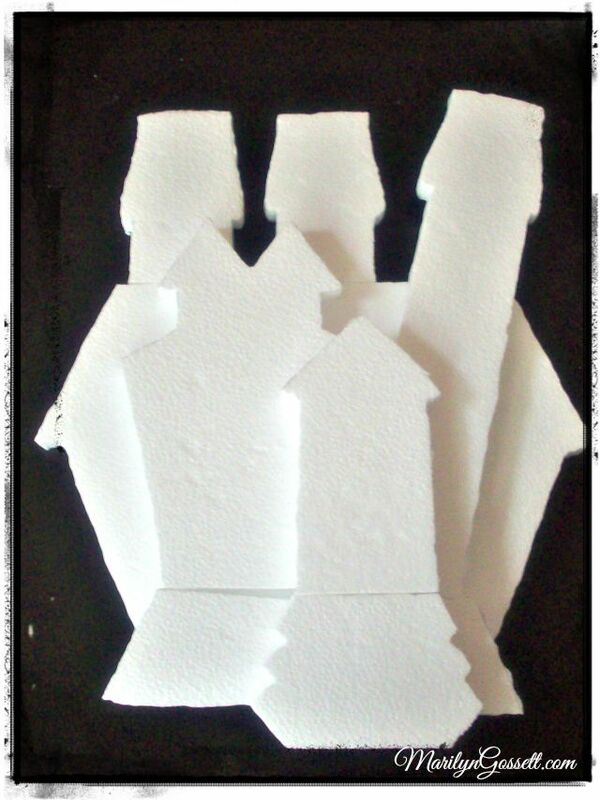 Trace the window pieces on to white and orange cardstock and cut out. Use a black marker to draw in the details. 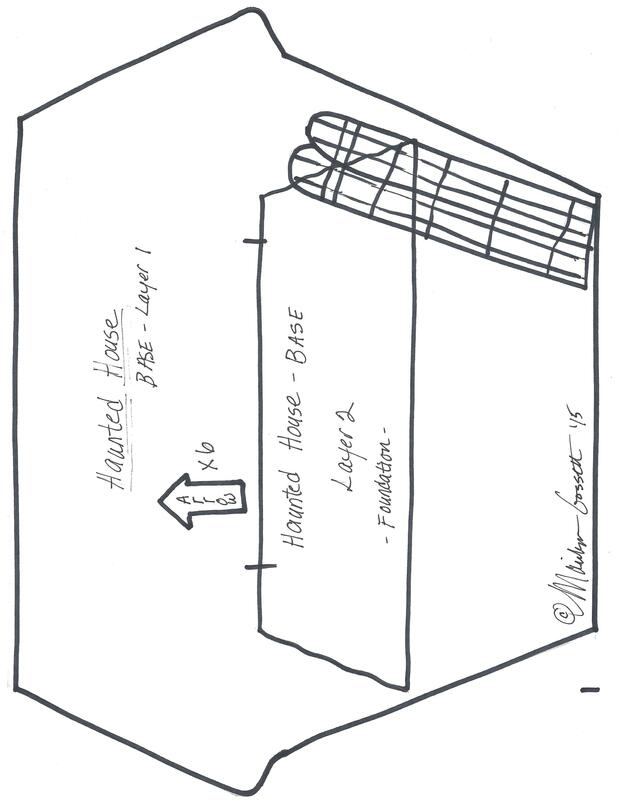 Adhere the paper windows to the house as shown. Sponge all of the edges with white ink. 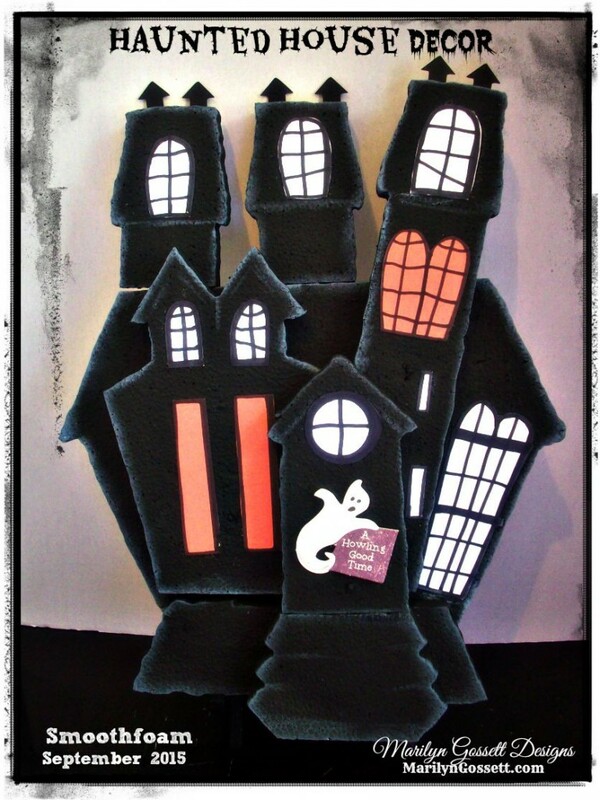 Join the pieces together using toothpicks and a dab of hot glue. * You are welcome to use my artwork for your own personal use only (no reselling). 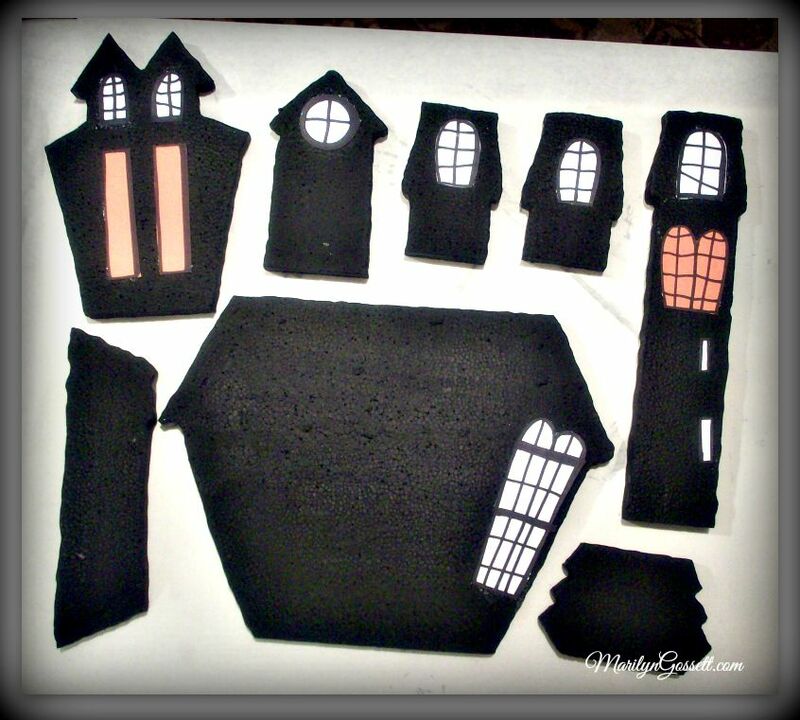 This entry was posted in Holiday Crafts and tagged Black/Gray, Halloween, Sheet, Wallhanging by Marilyn Gossett. Bookmark the permalink.